Marauders. 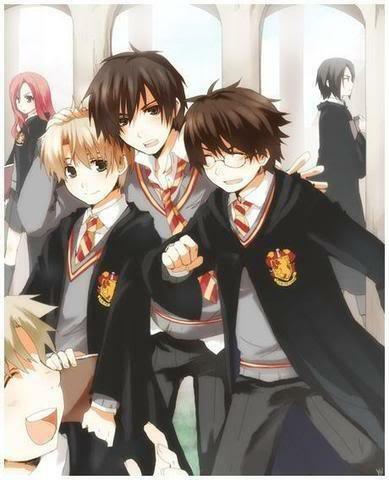 James, Sirius, Remus and Peter goofing around while Lily stands to the left and Severus walks away on the right.. Wallpaper and background images in the Harry Potter anime club tagged: harry potter sirius peter james remus marauders. James, Sirius, Remus and Peter goofing around while Lily stands to the left and Severus walks away on the right. "We solemnly swear that we are up to no good~"